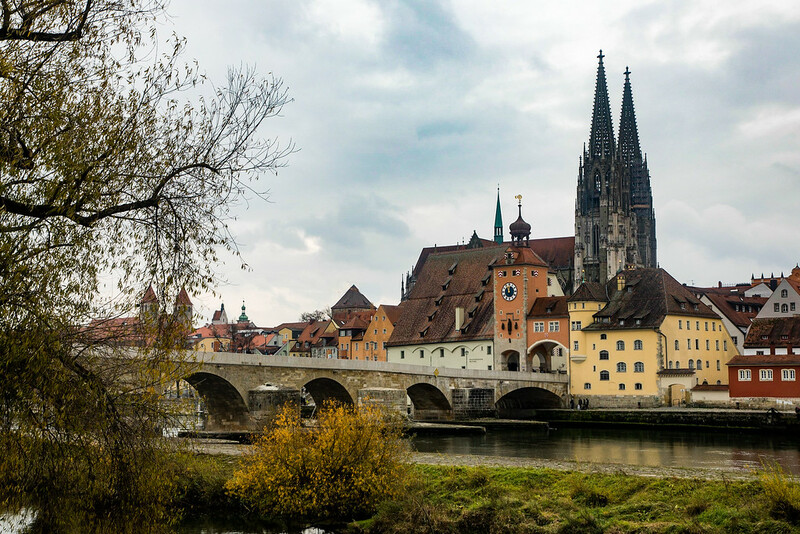 The town of Regensburg just seems to pose for pictures. 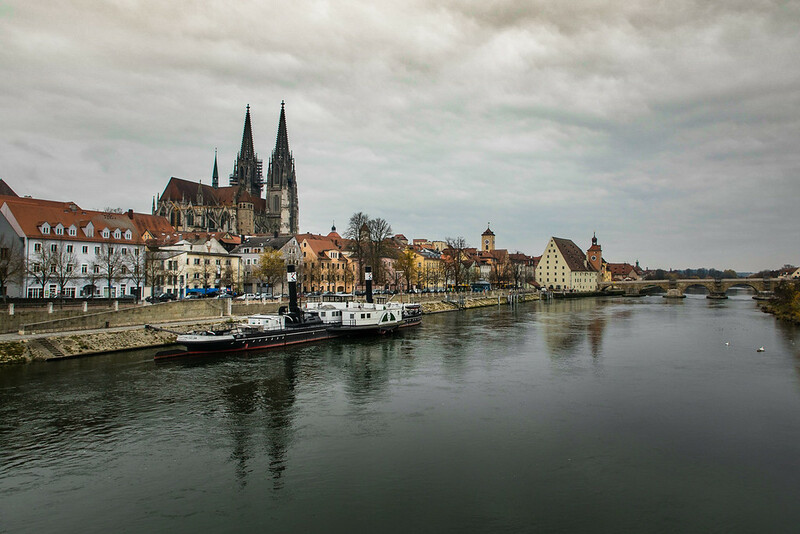 We pulled into Regensberg around 8 am, just as we were tucking into our Eggs Benedict with salmon. After copious amounts of coffee, we finally ventured out into town. As is the norm on Viking Cruises, there was an included walking tour of the city, but hey you know us, we grabbed a copy of the map of the town from the front desk and set off on our own. Rain was threatening, but it was just a short walk alongside the Danube, a turn left at the old Stone Bridge and we were in the ancient city, the most significant medieval city in Germany and a UNESCO World Heritage Site. 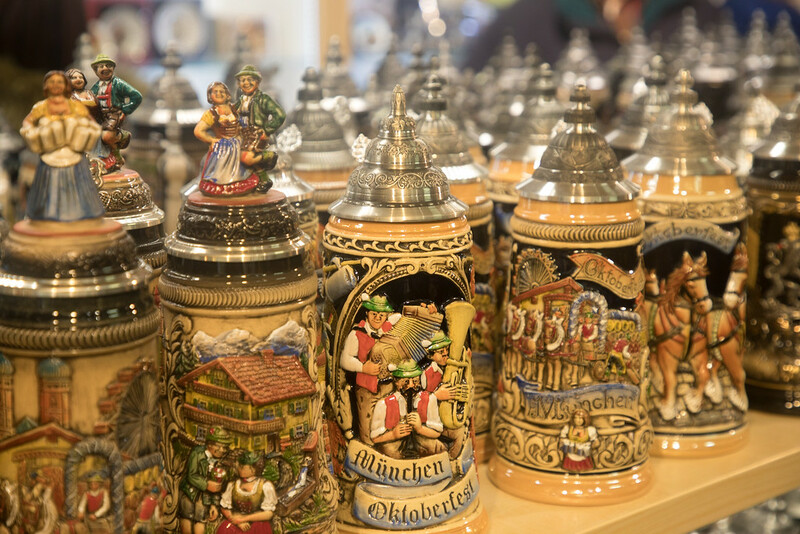 It’s a cute town to walk around with its many shops selling Bavarian cuckoo clocks, beer stein and chocolate. I always think Jon is being romantic by holding my hand as we pass the stores, but I’m beginning to believe he’s just making sure I don’t go shopping. 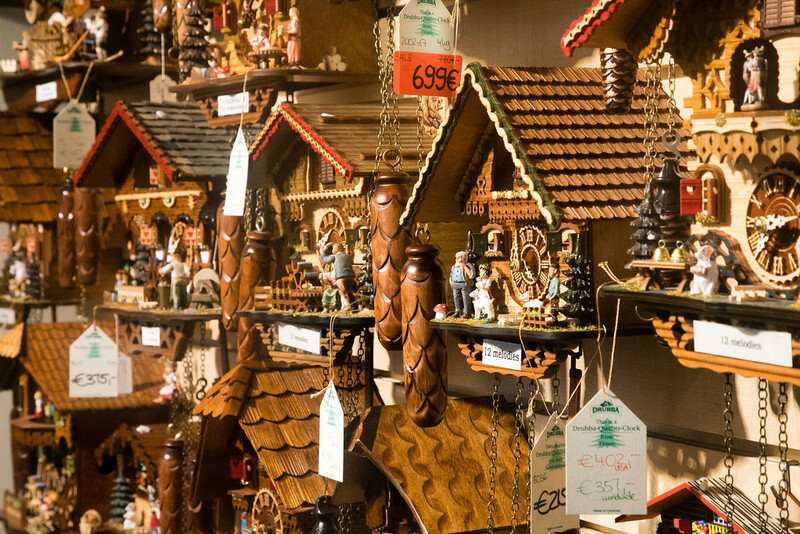 Don’t you agree that a cuckoo clock would look lovely in our home in Portugal? We popped into the Gothic cathedral of St Peter. Personally, I’m more of a fan of Baroque architecture, but it’s still worth a visit. Apparently, a church has stood on this spot since 700 AD, but the current one was completed in 1320. Outside the church are many statues including a Judensau, an insulting image of Jews suckling on a large sow that faces the Old Jewish Quarter. Not very friendly! From here, we headed across the river, stopped for coffee to warm up, before doing a scenic circular route back to the ship for some warming soup. The ship set sail once more at 4 pm, so a lazy afternoon on board which involved having a few drinks in the Viking Lounge – you know, signing up for that all you can drink Silver Spirits Beverage Package was a good idea after all! Pre-dinner cocktails, dinner, post-dinner drinks and a spot of cabaret before bed. 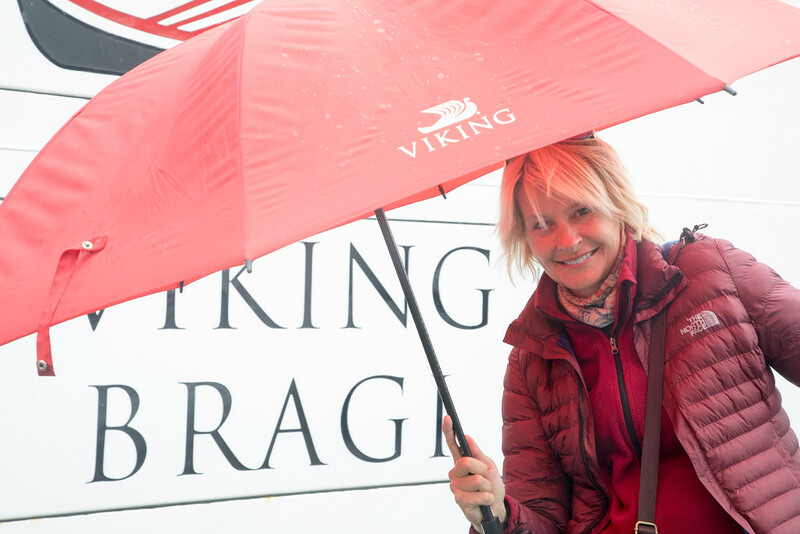 Another fun day on the Viking Bragi.